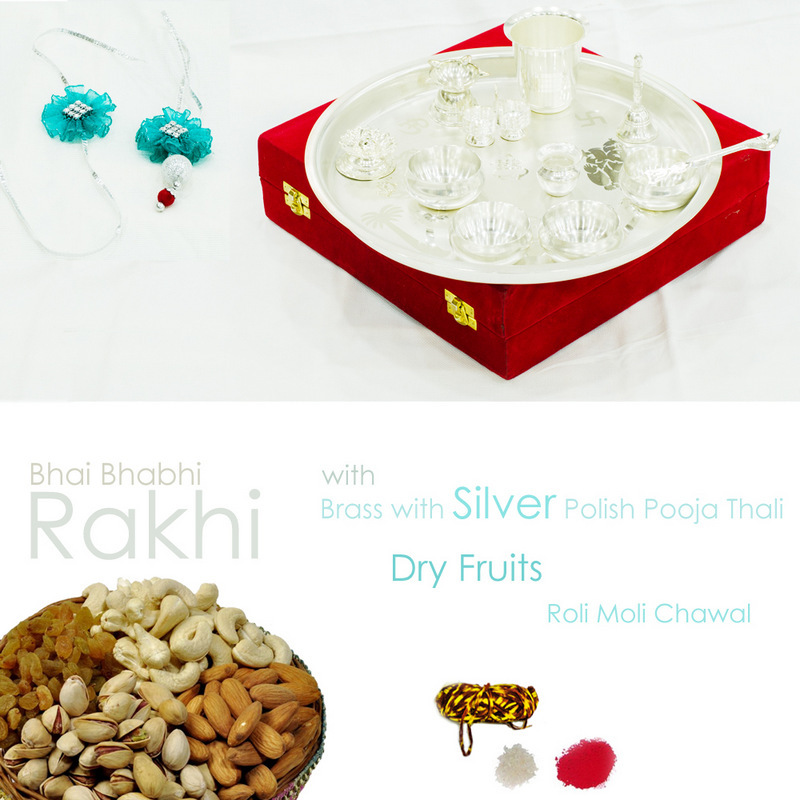 The Silver Polished Pooja Plate comes with an assortment of items, which every loving sister will find extremely suitable for presenting the best gift to Read More..their bhaiya and bhabhi on such a special day. The plate contains a generous offering of dry fruits, roli moli, and chawal to take care of the sweet tooth while also sticking true to traditions. 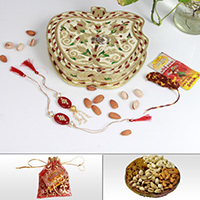 The Silver Polished Pooja Plate contains 200 gm of mixed dry fruits to present to one’s brother, along with designer Rakhi to celebrate this day in style. 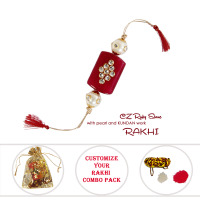 Therefore, sisters looking to gift their bhaiya and bhabhi stylish Rakhi along with an assortment of delicacies in a stylish avatar should definitely opt for this package. Show Less..